Unwanted guests are never fun, especially when you can’t ask them to leave. Luckily, Walled Lake pest control companies have no problem kicking them out. Whether there’s a rodent in your basement or insects in the attic, call your local Walled Lake exterminator to take care of them — do not try to wrangle them out yourself! 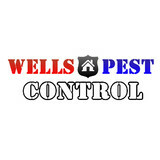 Not sure which type of home pest control service in Walled Lake, MI can tackle your issue? Read profiles and ask about their past experiences to get a good idea. At Pest EZ, we specialize in humane, eco-friendly, and highly effective pest and wildlife management and prevention solutions. We proudly provide Michigan with expert residential and commercial services that are individually tailored to guarantee that your home or business remains pest and wildlife-free all year round. At Eradico Pest Services we provide a comprehensive array of protective and preventative services to care for your home and business. Our service districts throughout Michigan combine expertise, effective programs and dedication to service to bring our customers the right treatment at the right time - to produce the right results. We invite you to explore the Eradico Pest Services difference. You'll find it in the knowledge and professionalism of our staff, in the values that form the core of our business, and in our commitment to serving the needs of our customers. Let’s get rid of the bed bugs in your home! The most crucial step you can take is to hire a professional pest control exterminator who specializes in the identification and removal of bedbugs. Hi-Tech Pest Control has been Southeastern Michigan’s leader residential and commercial bed bug removal since 1986, successfully eradicating pests tens of thousands of homes using a combination of experience, knowledge, and the latest and greatest in bed bug extermination technology and approaches. R.J.’s Pest Control is a locally owned and operated pest elimination company that has been proudly serving Plymouth, Michigan, and many of the surrounding areas for more than 20 years. There are absolutely no contracts needed, so you wont get stuck in a contract you can’t get out of, and we offer 24-hour emergency services for your convenience. 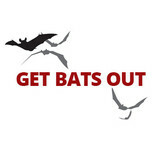 We know that pests can be a problem at any time of day or night and will take care of any pest problem no matter the time of day. Military and senior discounts are available upon request or can be found on our Specials page. We also offer a “New Client” special that can be found on our Specials page as well. Here at R.J.’s Pest Control we believe in a simple philosophy, the customer is always our number-one priority. With our 24-hour rapid response time, 90 day guarantee and a track record for 100% satisfaction, you know you are getting only the best service and we always view our customers needs as our own needs. 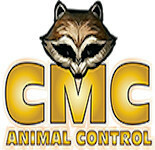 The owner does all the work and you speak directly to the owner, who is experienced and very knowledgeable about all types of pest control problems. We pride ourselves on bringing quick and efficient services to our customers as well as a super speedy response time. Most problems are fixed in one visit, however if the problem persists we will gladly come back out and treat your property again, completely free of charge, until the issue is completely resolved. Amen Pest Control LLC prides itself on being the go-to choice for clients looking for Pest Control, Bed Bugs and Cockroach services.